Hometown sweethearts Jared and Morgan believe their prayers were answered when finding one another. Though they attended the same high school, the couple didn't really connect until years later when Morgan ran into him at her father's office where Jared worked. Their first date was in 2006, but the timing wasn't quite right, so it wasn't until 2013 when they realized they were truly meant to be. Timing was definitely right on May 4 when Jared proposed to Morgan on her grandparents' wedding anniversary just like her grandmother suggested. Because of the couple's faith, they knew they wanted their wedding to be focused on two things: God and fun. They made sure to tie in these elements throughout their vintage, rustic ceremony and reception. 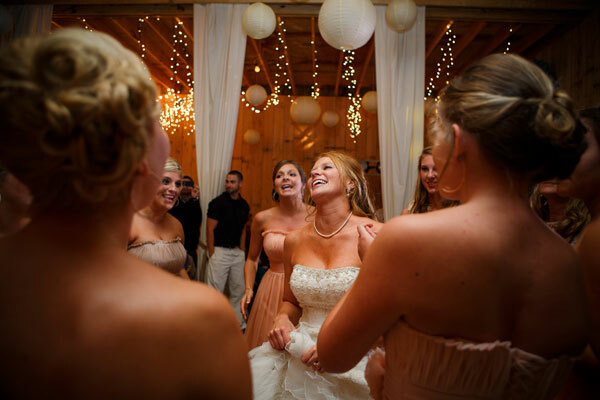 Morgan walked down the aisle with her father on one side and brother on the other to the Christian song "The Day Before You" by Matthew West, which she says had the perfect lyrics for the occasion. The ceremony and reception were both held on her parents' farm despite the rain beforehand, and guests were encouraged to come in comfortable attire. 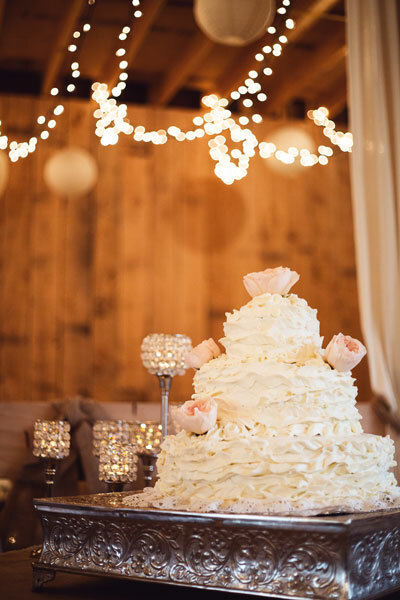 Her family built the arch, which she and Jared stood under during the wedding, and her mother and father strung the lights in their barn where the reception was held. 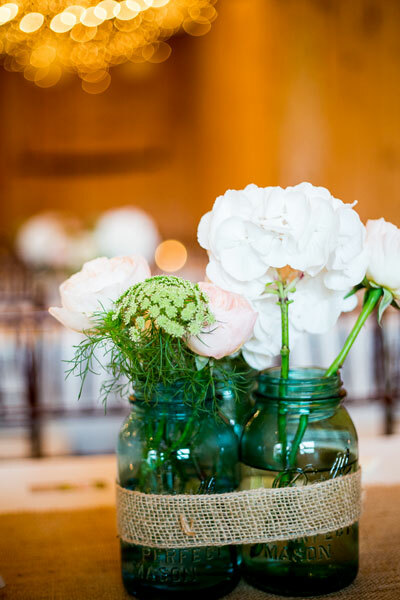 The bridesmaids wore an array of muted pink and neutral colors, which tied in with the cream and peach flowers displayed in the Mason jar centerpieces. 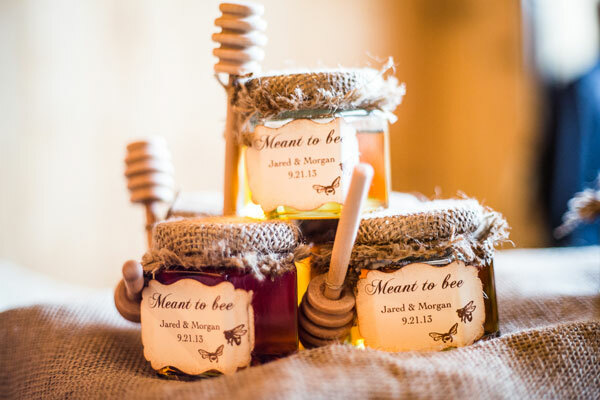 Guests took home candy and caramel apples as well as a jar of honey with a tag that said "Jared and Morgan meant to bee" as favors. After their wedding day that Morgan describes as "nothing short of perfect," the couple honeymooned in St. Lucia. 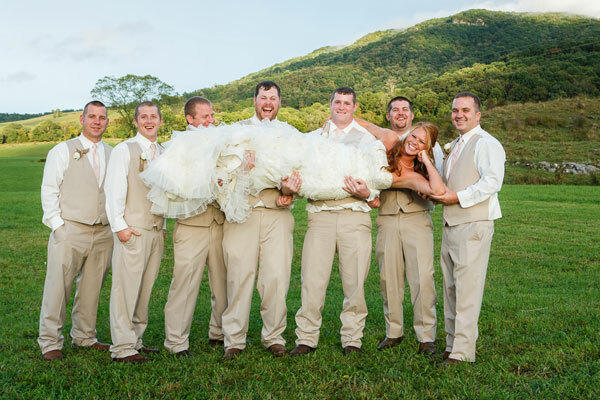 Be sure to see the Kinser wedding on page 118 of the second issue of bridebook!